A New Year means a whole 365 days of new possibilities. Don’t get stuck making New Years Resolutions that never seem to eventuate. Instead be smart about goal setting and create some real change in your life. 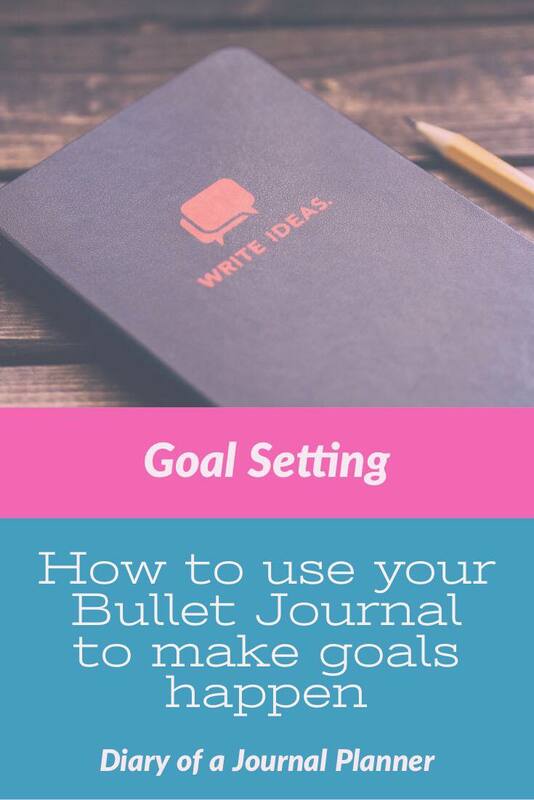 One of the best ways to make your goals happen is to use a Bullet Journal for goal setting. You are probably already great at setting out small goals in your daily spreads. But working towards those BIG goals takes a little extra work and organizing. What steps do I need to take to achieve my goal? What blocks or difficulties may stop me from achieving my goal? According to Forbes “ people who very vividly describe or picture their goals are anywhere from 1.2 to 1.4 times more likely to successfully accomplish their goals”. Just by simply writing your goals down on paper you are more likely to succeed. That’s a good enough reason for me to try goal setting in a Bullet Journal! 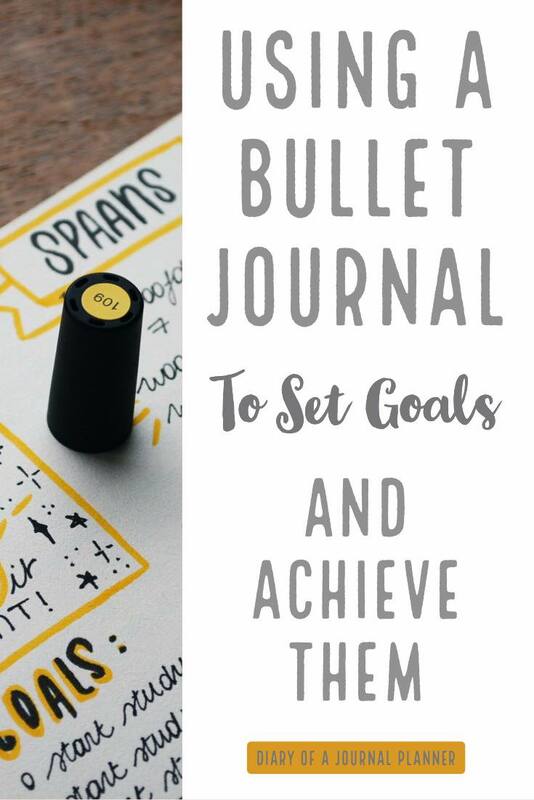 The bonus of a Bullet Journal over other ways to write down your goals is that every time you do new daily, weekly and monthly spread you are reminded of your goals and are making new, important action steps towards achieving them. The first thing is to choose your goals. Simple, right? Well, actually this is probably the hardest part of goal setting. It can be all too easy to set flippant goals or ones that aren’t even really for you. That sounds a little strange, but have a think. Did you really WANT to do that further education course, or are you doing to look more impressive to others, or maybe because it was always your parents dream for you to get a degree? If your goal does not light you up and get you excited then it will be much harder to make it happen. Especially when you have to go through some hard times to get to the end goal. Take your time setting your goals. 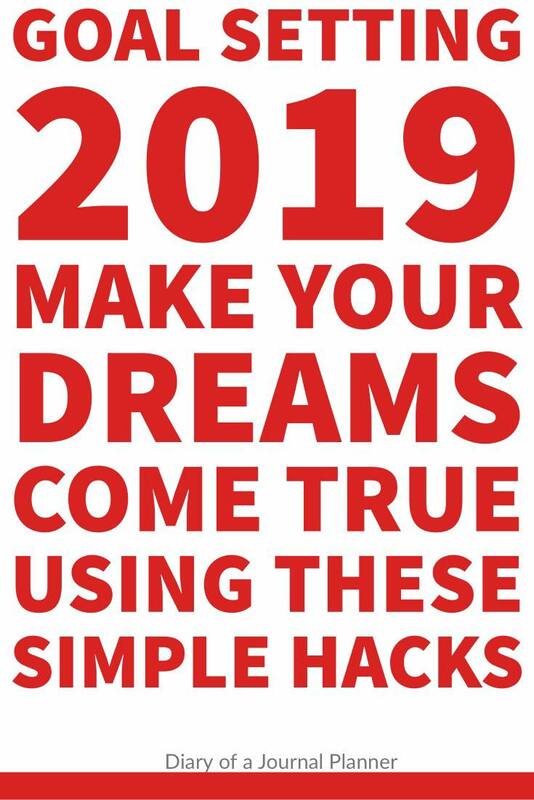 Do some deep pondering and mindfulness exercises, imagine how you want life to be a year down the track, the habits you would like to be your best self and new things you would love to learn. Keep daydreaming about those goals until you find the ones that really light you up. That makes you excited and nervous. Then you know you are on the right track. Knowing your why will help you whenever it seems like you are struggling to take your next action step. You need to really find the deep purpose behind your goal. For example, if your goal is to become healthier, is your real Why, that you want to be able to run around and play with your kids without getting exhausted? You need a strong reason why you want to achieve these goals. If you can attach a powerful emotion to your why, even better. This will let you break down your goal into small manageable tasks and actions. You can then schedule these..with clear dates. Sometimes I find it easier to work backward from my goal and date. For example, I had a recent goal of a girls trip to New York ( you may have guessed this from my recent New York doodles post) to catch up with some amazing friends. I knew what date I was leaving so could work backward to create action steps like when I needed to book accommodation and flights while also making a budget tracker to help me save my spending money. We have all heard “If you fail to plan, you are planning to fail” by Benjamin Franklin, right? Well, turns out it is so true. 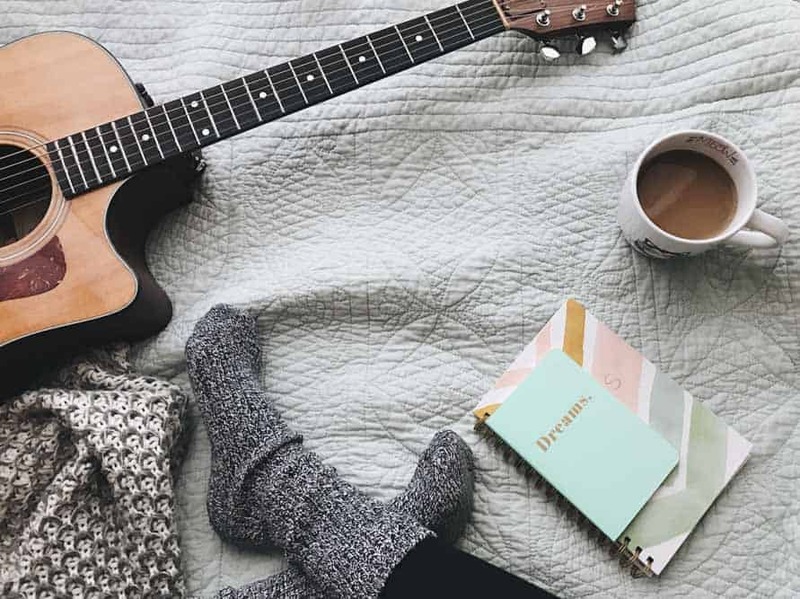 Being prepared for things like making time, finding money to fund goals and even knowing your personal weaknesses can help you overcome difficulties when they come up. A great example is if you are working on a fitness and health goal but know that as soon as the weather turns cold you tend to eat less healthy options and exercise less. Just knowing your habits means you can work to overcome those problems as soon as they come up by doing things like meal prep or booking an indoor gym class for the colder months. It is just human nature to be more motivated to do something if you have told someone about it rather than keeping a goal to yourself. There are so many ways to make yourself accountable with goals. You could tell a supportive (this part is important) family member or friend. You could publicly announce it on Facebook, find an online support group or join a community where people have similar goals. I also recommend having a Vision Board to revise your goals every day. This way you will never lose focus. After asking yourself these questions a great way to make sure you definitely nail those goals is to make them SMART goals. For example, “I want to get fit, healthy and strong”, might be a great goal, but it is not a SMART goal. There are no specific targets to reach, or what fit actually means to you, or when you want to achieve your goal by. A better and SMART goal could be that you want to compete in a certain event. For example, a triathlon or fun run. This gives you a set time frame and you are very specific. You can also break down this goal into measurable and achievable steps to smash your goal. You already know how to set your goals so how do you make it happen? 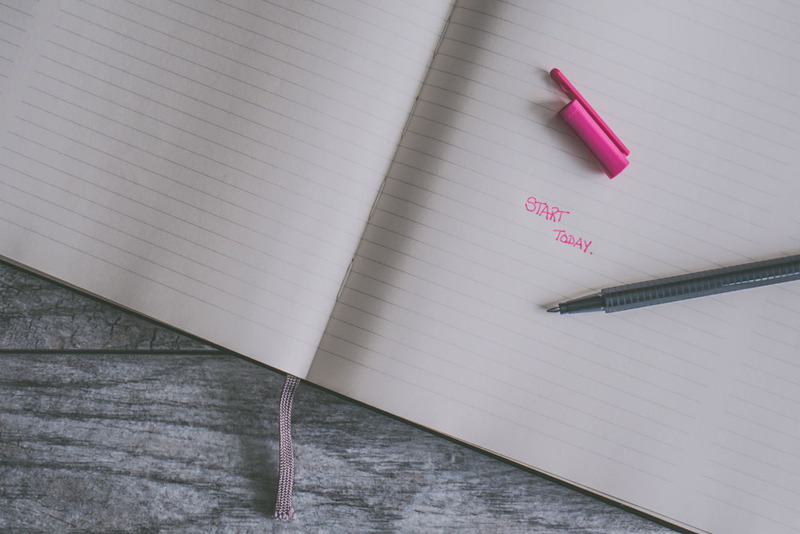 Firstly, it is great to remember that like with all things Bullet Journal, do what works for you. If you like things to be visual have lots of charts, trackers stickers, and doodles. If you prefer it much simpler go for a more minimalist layout. Either way, make sure you follow these simple steps. Making sure you put a time frame on the steps. Remember to be realistic and not overly ambitious. We all tend to overestimate what we can do in a day and underestimate what we can do in a year. Schedule each action plan into your spreads. Make sure to add things like making appointments, bookings and time to reflect on how you are progressing. Those small steps in your daily spread will look much achievable than the bigger ones in your weekly and monthly spreads. Add a habit tracker to keep on top of those habits you need to change to make your goal a reality. This could be an exercise tracker, spending tracker, ticking off those study days or even making sure you are drinking enough water!. One of the most important things for me is a small space on my monthly spread to jot down how I am going with my goals. This can be how I am feeling, any obstacles I came across, or a set back I had. This can help you track if there are triggers that cause blocks on your way to your goal. It’s really valuable to see how far you have come and to not let these setbacks stop you from achieving your goals. Instead, use them to learn more about yourself and your habits. This will help you overcome those hurdles if they come up again in the future. Make your goals a priority. Put those action steps you need to take as one of the first things in your daily, weekly and monthly spreads. Be sure to add mantras and some great inspirational quotes to your spreads for when you need some extra motivation. 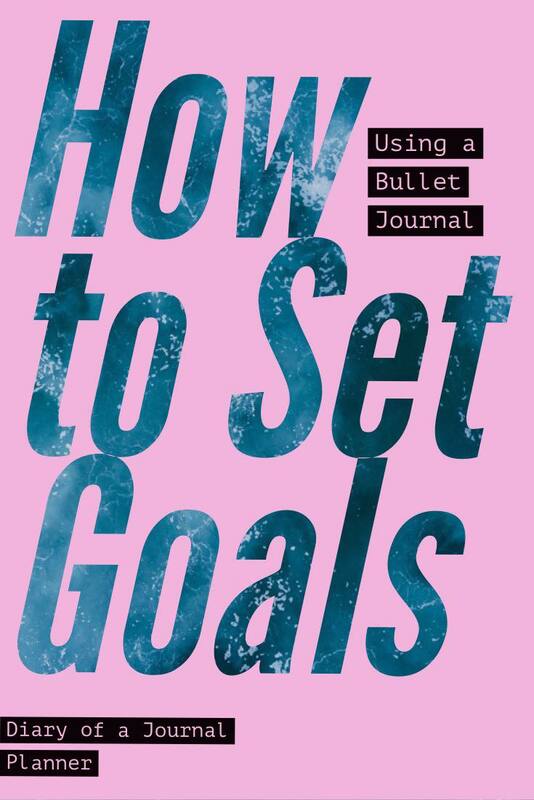 Think about using a second Bullet Journal for your big goals. 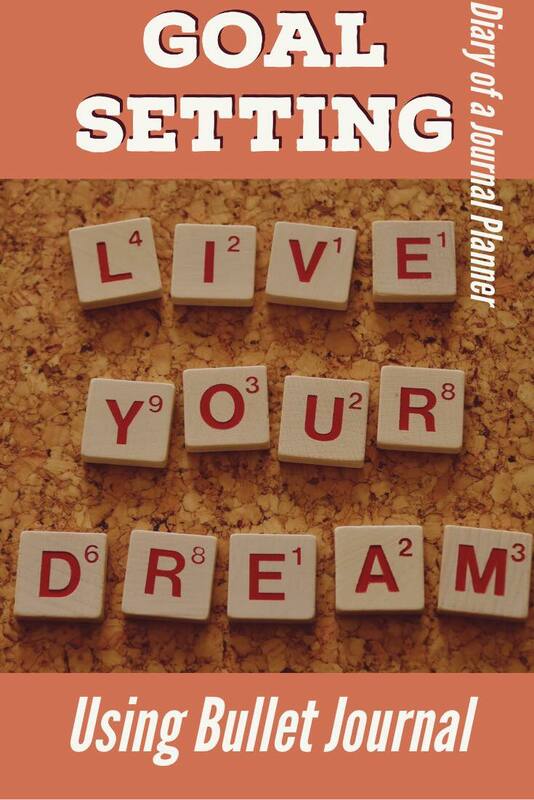 It can be easier to keep track of those big goals in a separate journal. With an easy way to look at the big picture, it can be simpler to make action plans to fit into your regular bujo. This way those BIG important dreams don’t get lost in everyday life. A second journal can be a fun place to pop things, like a dream board and a written version of your perfect dream day. Both of these are fantastic tools to help you achieve your goals. Check out my favorite journalhere.